I find that I have less and less time to keep my scrapbooks up to date lately. I really try to at least do our vacation pictures while the memories are fresh. But the family photo albums seem to be last on the list to get done. One of my goals for this year is to do my best to get a few pages done every month. This is my no-guilt, no-pressure resolution. Sometimes we are just too busy making new memories to scrapbook the old ones. And that’s okay. I was completely in love with our line of Project Life pocket cards because they saved me so much time while scrapbooking. I was a little bummed when I heard that line was going away. 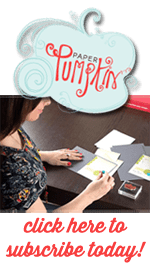 And then I found out Stampin Up was coming out with their very own line of pocket cards that better coordinated with our stamp sets and paper. Wow! I love the new Memories and More product line. And I love that it’s in all our Stampin Up colors and matches our stamp sets. They really did a good job on this one. Here is one of my recent scrapbook pages using a mix of our pattern paper, card stock, and Memories and More pack. The “lovely” comes from the M&M pack and comes in white. I sponged the Pink on it to match the page. This pattern paper comes in black and white. I colored it with the new Stampin Blends markers to match my page. I love that I can color this paper to match whatever I’m working on. It makes this paper so much more versatile. Of course, I ended up not making a pocket page for this particular scrapbook page, but sometimes a special photo just needs it’s own page. Do you scrapbook your photos? Have you tried our new Memories & More product line? I’d love to hear what you think about these cards.